(Trent Nelson | Tribune file photo) Andy Golden of Benchland Water District at Reservoir B in Farmington, Wednesday, July 25, 2018. The reservoir typically holds between 15 million and 20 million gallons of water, but last summer district customers depleted it after a spate of overwatering. New legislation would require metering of "secondary" water to curb such waste. Will Utah have sufficient water in an era of declining stream flows to support a population expected to double, strong agriculture, recreation economies and a healthy environment? While that sounds like having your Diet Coke and drinking it, too, water policy honchos believe Utah can meet its future water needs, though not without developing new sources and improving the way water is currently used. The use-it-or-lose-it foundation of Western water law promotes waste or at least suboptimal use of this most precious natural resource and is fraught with disincentives for conservation. Several bills cued up for this legislative session seek to reduce Utahns’ notoriously profligate water use and to add flexibility to the ways water rights are administered. In general, lawmakers prefer addressing the water question with “market-based voluntary transactions” as opposed to regulatory “command and control” oversight. At the forefront of this discussion is a resolution championed by Sen. Jani Iwamoto, D-Holladay, to promote “water banking,” a program that enables growers to pause their water use without risk of forfeiting their right to the water. With agriculture accounting for 80 percent of use, banking could go a long way to solving the state’s water woes. 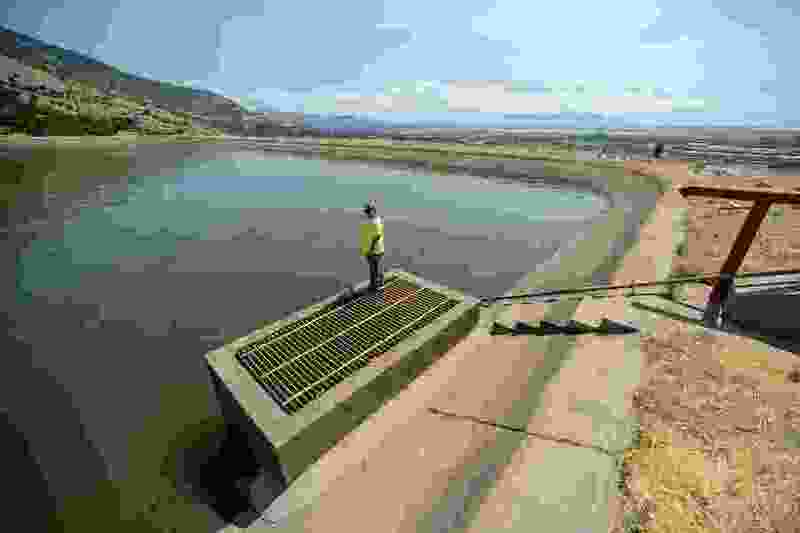 The idea, which is already being tested on the Provo River and in Cache Valley, is to allow water that would otherwise be used for irrigation to remain in a waterway, where it would support in-stream flows and reach downstream reservoirs. Farmers who do that now can find themselves without water in the future because someone else might want to use that water. Gov. Gary Herbert’s water strategy advisory team recently released recommendations that included developing a system to facilitate temporary water-right transfers through leases and contracts to supply competing users with water to meet short-term needs. Water banks could help implement such a recommendation, according to Iwamoto’s SJR1. Water banking is a critical piece of Utah’s strategy to ensure enough water remains in the Colorado River to meet downstream obligations and preserve Lake Mead and Lake Powell, which are now less than half full. HB143, sponsored by freshman Rep. Suzanne Harrison, D-Draper, would require water districts to update their conservation plans to include an analysis of achieving per-capita water use reduction targets. The bill wouldn’t mandate water providers to achieve that goal, which is far less than what most Utahns use, but rather evaluate the measures that could get them there. It would also require the districts to estimates the costs they incur by providing water above that level. “Saving water is the cheapest source of new water,” Harrison said. That 175-gallon figure aligns with daily use in many big Southwestern cities, such as Phoenix, Denver and Albuquerque, according to the Utah Rivers Council. It is 40 percent less than the Utah Division of Water Resources estimated to be the state’s per-capita water use in 2000, when it was 295 gallons. “If we reduced use by 40 percent, that would mean there is no need for Bear River [diversion] and Lake Powell [pipeline] projects,” said the council’s executive director, Zach Frankel, referring to Utah’s two most costly water diversion proposals. Sen. Jacob Anderegg’s SB52 would require water districts to meter all the untreated “secondary water” they provide through pressurized systems by 2030. A study released last year found that Utah districts underestimate the amount of secondary water they deliver by as much 34 percent. Metering would not only improve water planning but also enable providers to bill users appropriately for what they take. By imposing a “price signal” on water used on gardens, people will be inclined to use less, according to Amelia Nuding, a water resources analyst with Western Resource Advocates. Metering this water won’t be cheap, but conservation advocates such as Frankel and Nuding say it would be worth the investment and pay for itself. It costs up to $1,000 per connection to install meters, and there would be additional costs to read them and bill customers. The bill’s price tag could reach into the tens of millions of dollars. The Division of Water Resources has estimated that Utahns use about 115,000 acre-feet a year in secondary water, although the recent audits suggest the actual volume could be much higher. Metering would cut that use by 40 percent, resulting in a potential savings of at least 46,000 acre-feet, according to an analysis Frankel cited. Anderegg, a Lehi Republican, proposes appropriating money for loans and grants to help defray metering costs to the tune of $5 million a year through 2030.